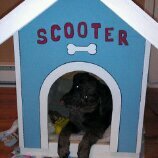 Providing the best care for your pet! Cindy provides a convenient location in Rutland to bring your pet and also provides mobile service at an additional charge. Cindy also offers services at various grooming salons throughout the Okanagan. Cindy works with healthy dogs with no existing oral problems. Consultations are free and your dog will be assessed to make sure he is a good candidate for no sedation scaling and polishing. Gentle techniques, and lots of positive reinforcement helps make the appointment a comfortable experience for your pet! 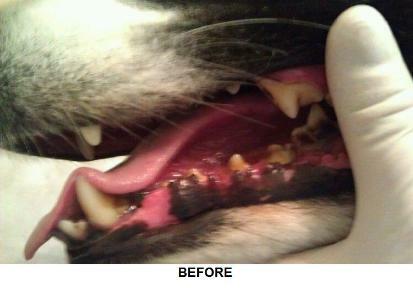 Not only does plaque and tartar build up make your pets breath smell but can also cause gum disease and tooth loss. Studies show that gum disease can cause more serious problems such as heart, lung, kidney, and liver disease. 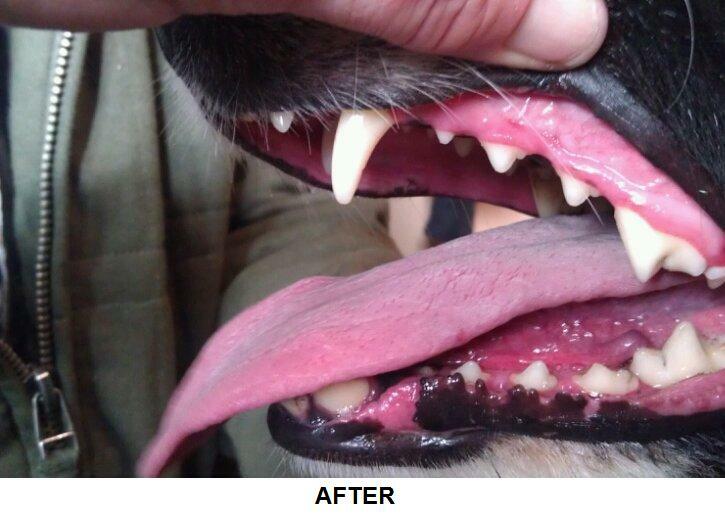 Regular teeth cleanings will help keep rovers teeth white and can also help prevent the disease process. Cindy's method of scaling and polishing provides a safe and effective way of removing tartar without the use of anesthetic. Call Cindy at (250) 859-9602 for more info and to book your appointment!